Thank you to Ross Perkins of The Chicago Traveler. CRISP is honored for being included in the "Best Wings in Chicago -Top 13" List! "Crisp’s wings have said to be a near religious experience. These Korean-style wings do not skimp out on portions or flavor. The wings come whole–wing and drum remain connected. You will not find a large selection of traditional sauces here, you have to settle with plain fried, bbq, buffalo, and their signature Seoul Sassy. When I say settle, I mean that you would not want to choose from anything else anyways. Their Seoul Sassy wings are on an entirely new level. I highly recommend snagging a side of their atomic sauce to dip the wings in. 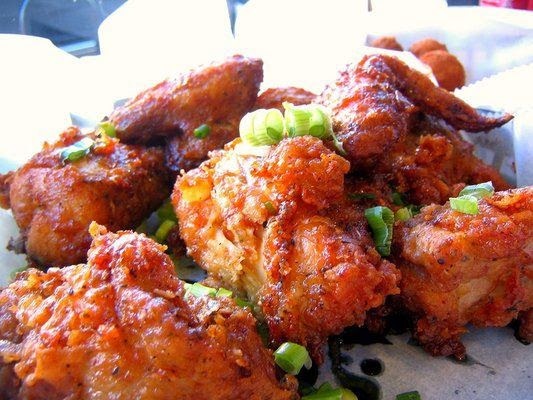 You will not be left wondering why these are named some of the best wings in Chicago."